Emo re-fuel has a range of small and large fuel trucks to re-fuel your fleet or equipment, whether you need to fill a generator, earth-moving equipment, Vans, Buses or Trucks. We deliver the highest quality fuel and also offer an extensive range of lubricants. Here at Emo re-fuel, we provide tailored solutions by delivering your fuel products such as Gas Oil or Diesel. To make your fuel administration and control easy, we make sure that our trucks are equipped with the latest technology. True to its name, Emo re-fuel allows you to refuel your fleet or equipment anywhere and anytime you need it. With this service, the fuel you buy is directly delivered to your fleet or into your machines. Every kind of business has different needs when it comes to the amount of fuel they consume for each day of production. We now offer on-site refuelling solution to accommodate the needs of any specific business. By getting this service from Emo re-fuel, you can rest assured that you will not run out of fuel when you need it most. When your fuel is directly delivered to your fleet or equipment, you need not worry about spending money in buying expensive storage tanks. 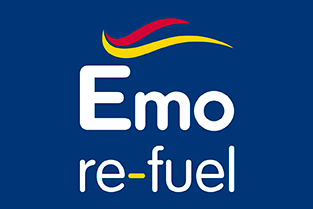 Using Emo re-fuel means you wouldn’t have to stress yourself thinking if your fuel is stored properly and you don’t have to maintain storage tanks and pay for repairs. Also, you won’t have to worry about relocating owned fuel tanks whenever you relocate or reposition your operations. Fuel storage and delivery require the use of expensive tanks engineered to maintain the quality of the stored fuel, especially as it is being transported. Many businesses/operations that require a large amount of fuel don’t usually have the right equipment for its storage and delivery. Hence, Emo re-fuel have started offering onsite fuel delivery services so that you won’t have to worry about it. Bulk tanks with residual fuel remaining are impossible to relocate due to structural strain when lifting. Relocating bulk tanks pose safety and environmental risks due to potential spills. Some people assume that specialised fuel solutions are more expensive and offer no benefit to their business. Most of the time, this assumption is wrong.Emo re-fuel helps in reducing driver downtime and increasing productivity. 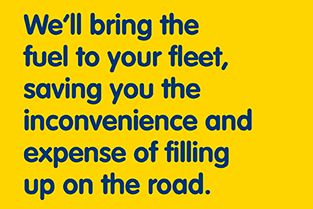 With Emo re-fuel, your drivers won’t have to go to service stations to for refuelling. It also helps you save time and money since you won’t have to hire another person for the administration of fuel. Fuel administration has to be monitored, especially for bulk fuel deliveries. Emo re-fuel deliveries are ideal for project-based operations because it allows business owners and operators to monitor their fuel consumption. Since these deliveries or transaction are documented and monitored, it is easier for you or your administrators to detect any kind of theft that occurs. Fuel theft from an unattended bulk tank is a potential risk, with Emo re-fuel, there is no bulk fuel to worry about. Avoid tying up cash on excess fuel sitting in a bulk tank until you eventually use it. Pay as you go, in much smaller amounts, can assist with cash flow. Cost accounting is more accurate as your fuel spends for a specific job can be better measured as opposed to excess residual bulk fuel that may be retained in a bulk tank – for the next job. Separate billing for individual plants can be arranged. This provides a clear indication to your cost accountants of the actual fuel cost per piece of plant – great for more accurate cost/expense accounting.